Colour: Black / Gold Met. 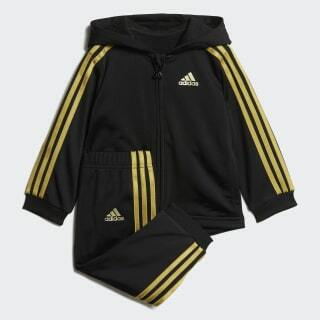 A cosy jogger set for infants. 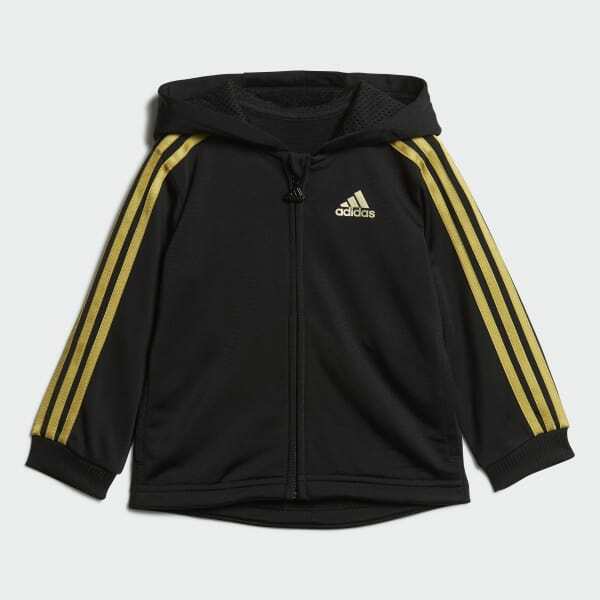 This infants' two-piece jogger set features shiny 3-Stripes details on the jacket and pants. The full-zip jacket has a regular fit and a breathable mesh-lined hood. The drawcord on the elastic waist makes it easy to get them dressed. Product colour: Black / Gold Met.